KUALA LUMPUR: The Ministry of Finance maintains the six per cent service tax on mobile postpaid services as implemented under the Goods and Services Tax. 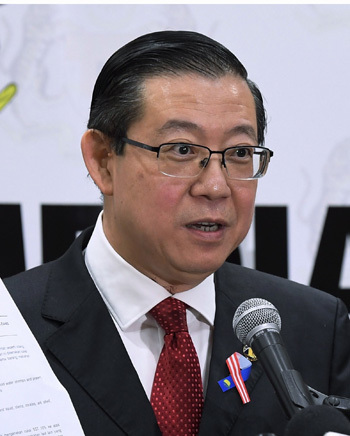 Its minister, Lim Guan Eng said the Sales and Services Tax (SST) exemption was only applicable to only citizens who used prepaid cards. “Prepaid cards are often used by the low income group and this exemptions was given to assist them,” he told a press conference in conjunction with an SST briefing by the Finance Minister here yesterday. Lim, on Wednesday, ordered prepaid telecommunications service providers to exempt the service tax on Malaysian customers. He said the exemption was based on Section 34 (3) (a) of the Service Tax Act 2018 which came into effect today. Through the exemption, customers will earn full credit when reloading and no longer subjected to the service tax.